But the Obama-era Attorney General did not end the discussion there. 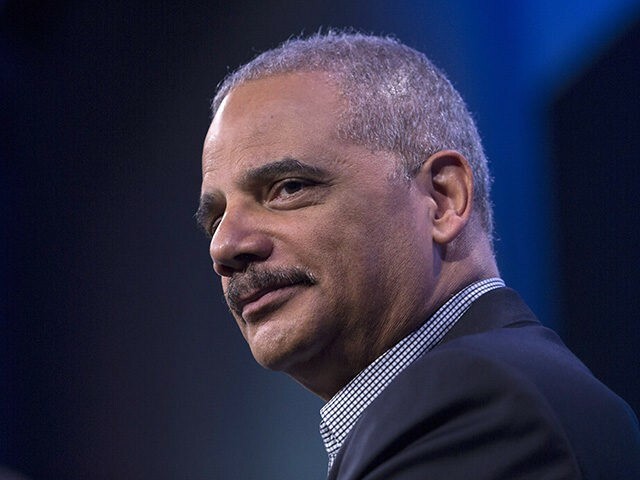 Holder contended he led the Justice Department compassionately, fighting for health care and climate change, while standing up for agency careerists. Holder, echoing a common “resistance” talking point about being Donald Trump mentally unfit to be president, asked if the president and “Crazy Louie” were “nuts.” He concluded the tweet with the acronym “TFA,” which according to disgraced White House aide Omarosa Manigault Newman, is a reference to the evoking the 25th Amendment. “Manigault Newman described the practice as something like a virtual eye-rolling about the boss, but the assertion comes just days after an anonymous op-ed in The New York Times suggested aides have considered invoking the 25th Amendment’s process of removing the president from office,” reported USA Today. “We had a little hashtag, hashtag TFA, whenever he did something that was just so insane and so crazy and unhinged, when he would flip positions from one hour to the next, we’d just hashtag it ‘TFA’ and keep moving,” the Apprentice contestant told MSNBC in a recent interview. The White House communications shop denied Manigault Newman’s claims.